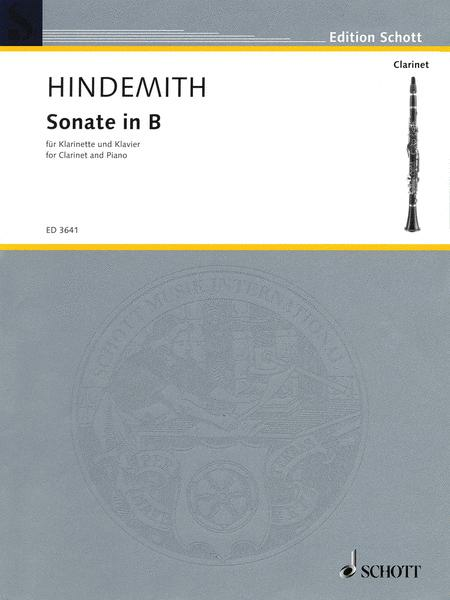 Composed by Paul Hindemith (1895-1963). Sheet music. Edition Schott. 20th Century. 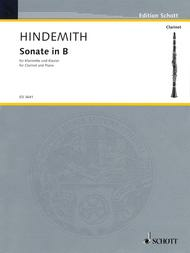 Clarinet solo single (softcover). With solo part, standard notation and piano accompaniment. Composed 1939. 38 pages. Schott Music #ED3641. Published by Schott Music (HL.49004224). but offer interesting variety. Recommended. 31 of 67 people found this review helpful. One of the great 20th century works. A must for anyone who plays the clarinet. The work can be taxing to inexperienced players in performance. Be sure to work the details out with a pianist to experience the power of this masterpiece. 45 of 105 people found this review helpful. -designed structures of music under complex harmonies in his music. 52 of 117 people found this review helpful. Great piece for juries and concerts. I played full sonata and absolutely love it!! 53 of 120 people found this review helpful. This piece is heart wrenching. I highly recommend for anyone who is playing it for the first time to read up on the history of this work before even playing one note. 63 of 147 people found this review helpful.